Similar to the way that Chabrol's Le Beau Serge was overshadowed by Truffaut's 400 Blows and Godard's Breathless as the often forgotten first work of the French New Wave, when you think of Italian Neorealism, it's safe to say that De Sica's Bicycle Thief and Rossellini's Rome, Open City trump any memories of Luchino Visconti's Obsessione , which ushered in the movement. A far cry from carefree “white telephone” pictures centered on lives lived in luxury far removed from any reality of the World War II era, though Obsessione was less concerned with overt politics than the aforementioned Neorealist works, the brilliant but unauthorized Postman Always Rings Twice adaptation took a stark look at life, lust and death. 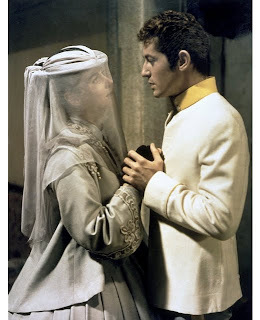 In addition to inspiring a new naturalistic approach to telling intimate stories of everyday Italians, Visconti inspired himself as well from a topical rather than a technical perspective, revisiting these themes in his career changing technicolor debut feature Senso in 1954. 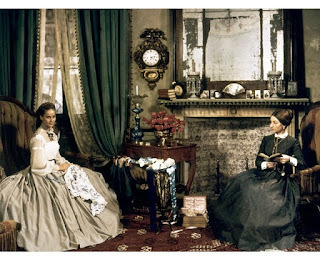 Moving away from Neorealist docudrama to indulge his own obsessione with heightened melodrama, Visconti showcased his passion for passion in the painterly near-operatic Italian production, which was recut, rewritten (by Tennessee Williams and Paul Bowles), re-dubbed and re-released in the United States as the poorly received Wanton Countess. 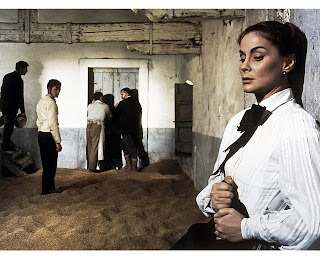 Very loosely based on the eponymous novela by Camillo Boito, Visconti's Senso is – as the title implies – a sensationally sensuous feast for the senses, even if admittedly it's about as relatable as the “white telephone” pictures that Visconti rallied against with the creation of Neorealism. 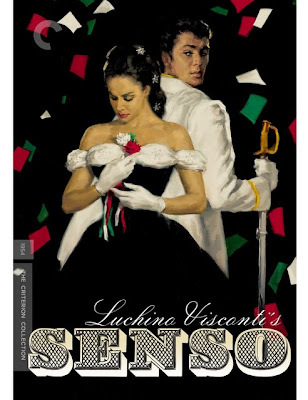 Foreshadowing Visconti's future as an opera director while hearkening to his background in costume-making with an exquisite attention to detail, the technically influential yet ultimately disappointing Senso is lovely to look at but impossible to understand on anything other than an overall plot level. Bogged down by the film's overwhelmingly silly non sequitur filled English language subtitled conversations between our doomed lovers, Senso is further hindered by Third Man actress Alida Valli's thoroughly unlikable main character, Livia, an Italian countess who betrays her family and country during 1866 Italian-Austrian wartime by embarking on a torrid affair with Farley Granger's manipulative Austrian Lieutenant Franz Mahler. Though critically panned upon its initial release and heavily censored in Italy where it incidentally bankrupt the studio funding the picture, Visconti's Senso has nonetheless gained new appreciation by Italian cinema scholars as a watershed work in the legendary director's career as well as a melodramatic masterpiece for its celebratory aesthetic hybrid of opera, theatre, film, fashion, and art. Likewise since it's the type of work you'd rather hang on your wall or show just before a hyper-stylized work by Luhrmann or Almodovar rather than watch on its own merit, Senso is fittingly more luscious than ever in Criterion's Martin Scorsese color-corrected restoration that's sure to appeal to die-hard Visconti admirers, thanks to the inclusion of The Wanton Countess and a plethora of historical featurettes.